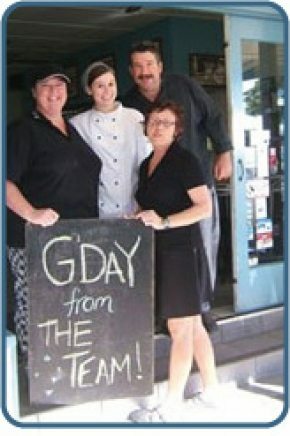 Serviced Accommodation Noosaville| Noosa Keys ResortMaisie's "the favourite "
Home » Culinary Delights » Maisie's "the favourite "
Maisies or as it was originally called "the favourite" began in the 1920's at the same locality as it is now. 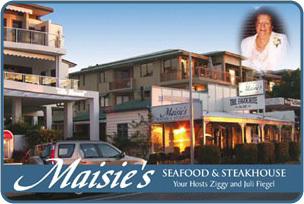 The good service goes hand in hand with great food and at Maisies you get both. Fresh local seafood abounds and tempts your palate, from freshly made chowder in a bread bowl to a seafood platter for two and every concievable taste in between. 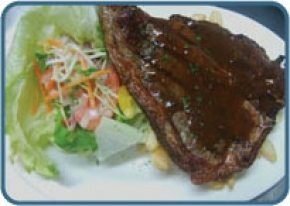 The steaks are served as expertly cooked as you require.